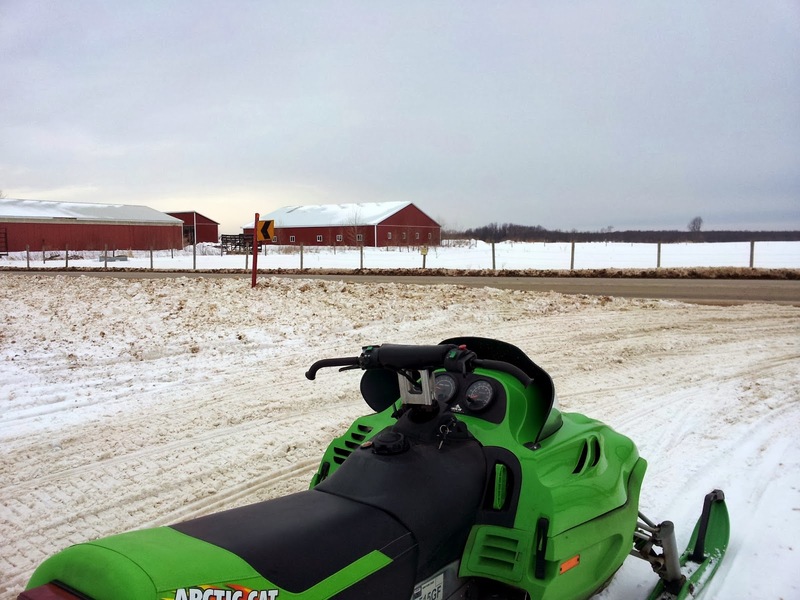 On Saturday afternoon we took the sled out for a spin on a trail closer to our house. The funny thing being that even though we hopped on the trail less than 3 miles from our house, it headed immediately into unknown (to me) territory. Whereas the trail we rode last time was much further from home but in an area I am quite familiar with due to frequent walks. While it was fun to explore a new trail system, I preferred the trail conditions on the last trail and the added pleasure of seeing a well-known route from a much different perspective. We saw a groomer out smoothing the trail, which was cool to see in action. In my pre-snowmobiling life, I was unaware that the trails were groomed in any fashion (not that I'd ever given it any thought at all). Even after only two rides, I can appreciate the value in a smoothly groomed trail. On Sunday we went snowshoeing, but, much to my disappointment, we had to cut our hike short because my husband experienced excruciating back spasms after only a few minutes out. 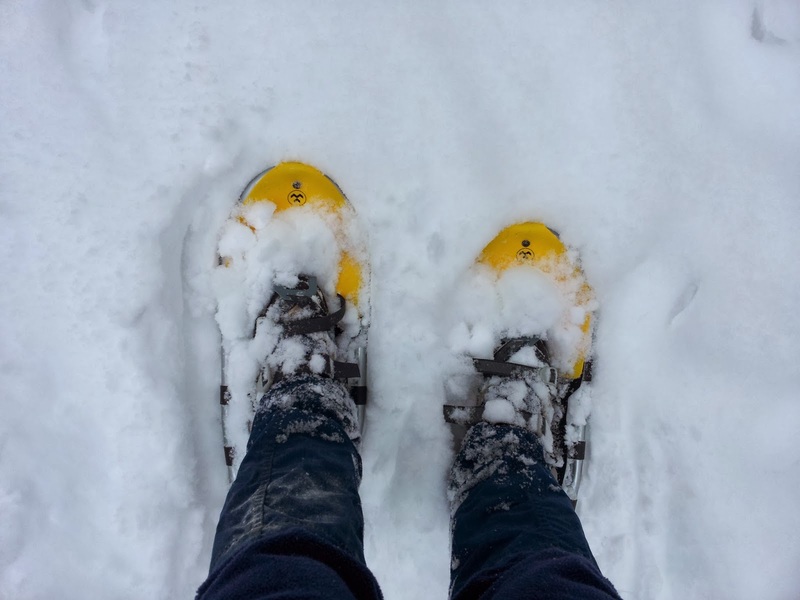 We had hiked down a long hill towards the river but turned back just shy of the river's edge, at which point he removed his snowshoes, deciding they were to blame for the back pain, and we headed back to the car at a slow pace. Unfortunately, his back is still causing him issues and I have sworn off suggesting snowshoeing as an activity for the two of us. I have been neither snowshoeing not cross country skiing, in spite of having plenty of snow--and of course, I have not been snowmobiling either.